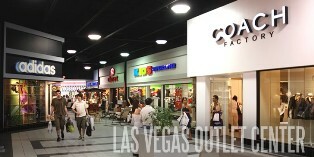 There are two Las Vegas Premium Outlets, The Premium outlet Mall North and The Outlet mall center, South. Is located at 875 South Grand Central Parkway, Las Vegas, NV 89106. This is a great outdoor outlet center with an impressive collection of the finest designer labels and brands. Why not include a fabulous shopping stop during your next trip to Las Vegas. Located just 10 minutes from the Strip and 5 from the downtown district. You can bet on finding a great deal. Before visiting The Premium Outlet Mall you can preview everything by visiting the following links. North Center Map and your alphabetical store directory listing. Directions & Transportation great options for getting here! You can even book a group tour! Fill out a reservation form online and also find out more information. Visit the Big Bus Tour main page for tickets and downloadable map. Visit your hotel concierge for the routes and times or.. This Las Vegas Outlet Center features another impressive collection of the finest brands for you and the finest savings for you and your home. Located at the south end of the strip, you're sure to find impressive savings all year round. Before visiting The Outlet Mall Center you can visit these links and find out more information about the stores provided and even accommodations while you are visiting. Center Map and alphabetical store listing directory. Directions and transportation information in detail and print a map. You can click this link to the Get a Map to the Locations and visit the websites of the two Las Vegas Outlets, Or find another outlet or mall near you via our Shopping Page. Ceasars Forum Shops located at 3570 Las Vegas Boulevard South, adjoining Ceasars Palace. They call it the shopping wonder of the world and you can eat at many fine places also while you are here. The Shoppes at Mandalay Place are located at 3950 Las Vegas Boulevard South. Two restaurants with great vegan menus and so much more plus satiate some divine shopping needs. The Town Square Las Vegas This place is also a locals favorite. It is just south of Mandalay Bay, and is an outdoor mall with everything from Juicy Couture to Victorias Secret to Mac if you are on a business trip and need a technology hook up. Plus you can experience several outdoor patio dining venues from Italian to the infamous Yard House. I love this place, plus a park and splash pad for the kids. Another fun thing to do here is to watch the airplanes come in right overhead. The Miracle Mile Shops at Planet Hollywood From affordable stores to high end plus great food. One of the best spinach salads I have ever had was at the PBR Rock Bar and Grill if you can believe it. Fresh mangos and strawberries were in it! Crystals at City Center This is so super high end that it is usually pretty slow unless people are walking through to get somewhere else. But, if you can afford Cartier and Tiffanys, this place is for you. I might grab a Starbucks on my way to the other side. There are so many more, but I am sure by the time you get through this list you will surely be exhausted. Las Vegas Premium Outlets are getting about as numerous at the night clubs these days, so more than likely almost every hotel you go into will have their own shops. For a locals flair, visit places like Town Square Las Vegas, The District at Green Valley Ranch or Tivoli Village. Las Vegas Shopping All of our malls, las vegas premium outlets and shopping venues. 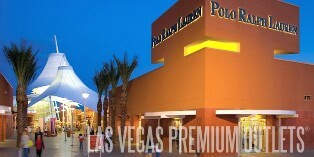 Return to Las Vegas Shopping from "Las Vegas Premium Outlets".